 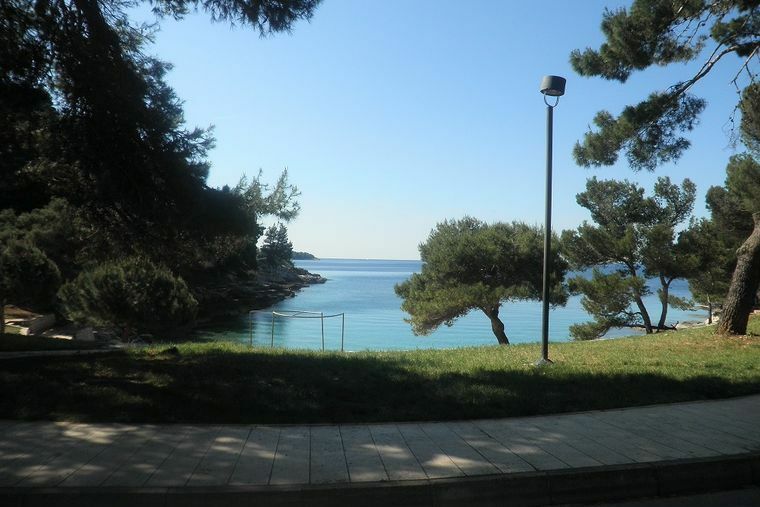 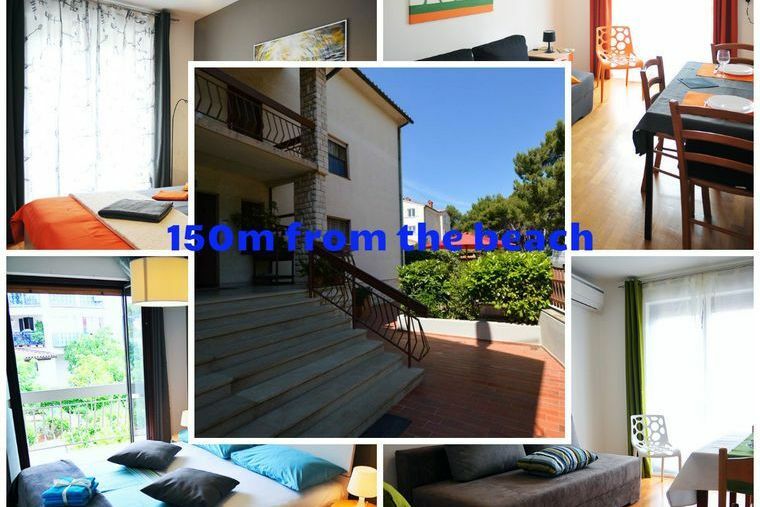 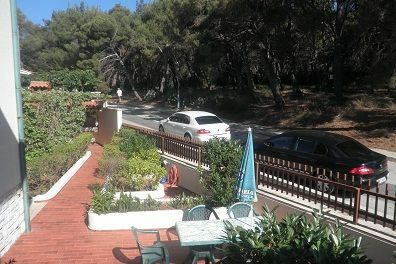 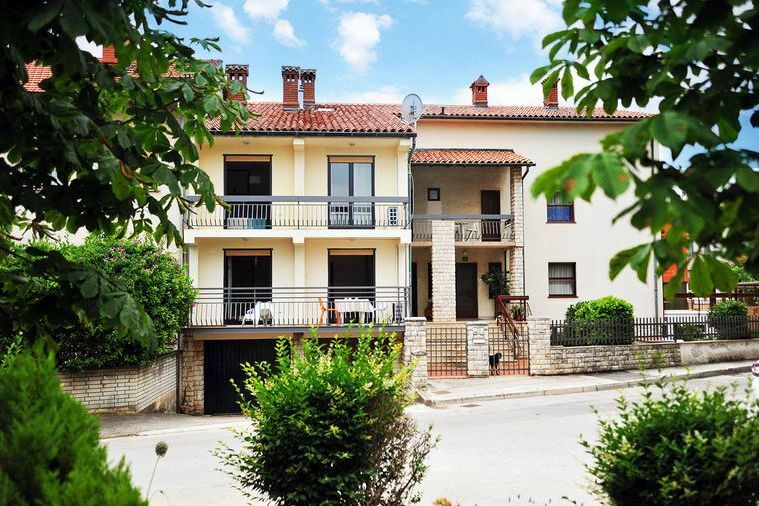 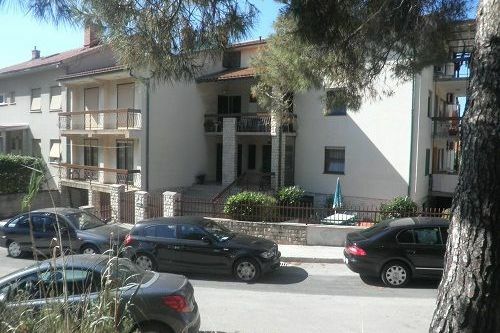 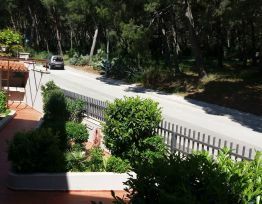 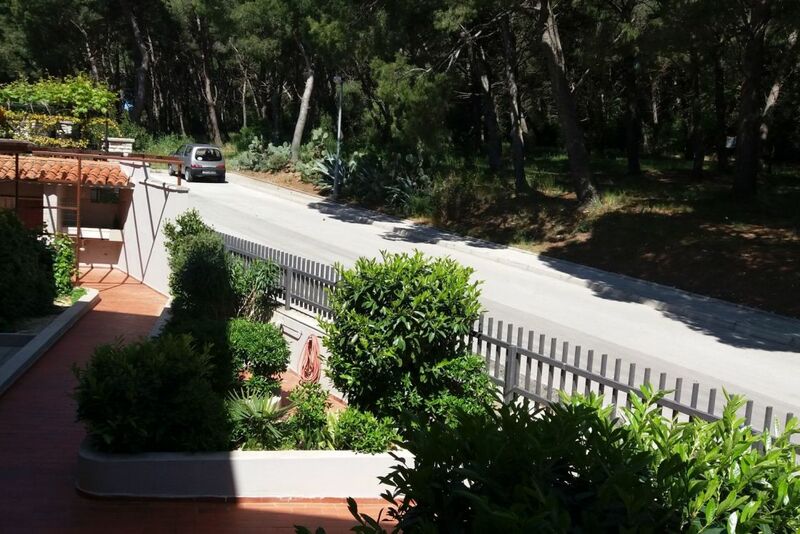 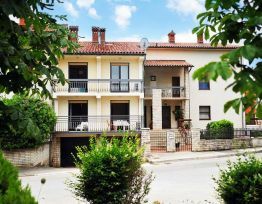 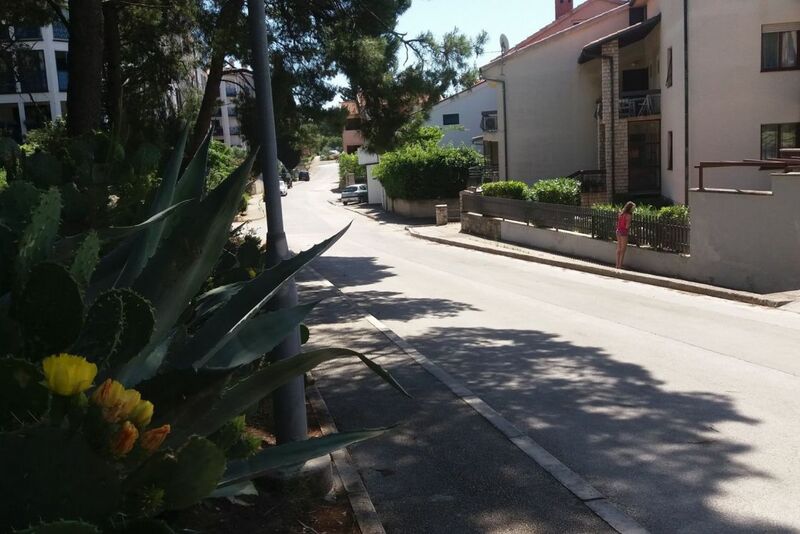 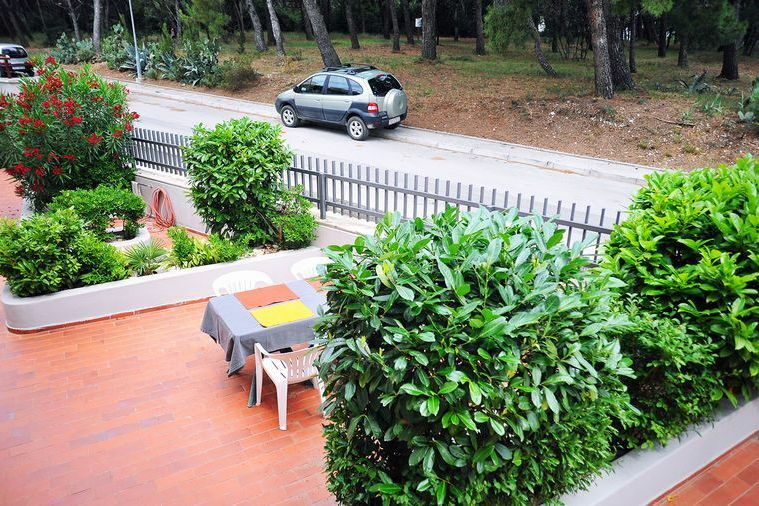 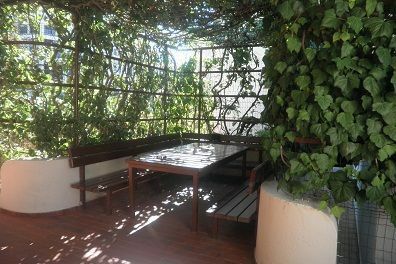 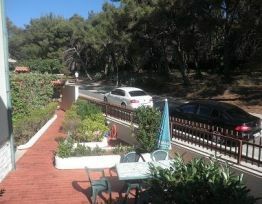 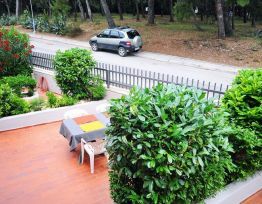 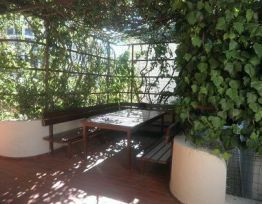 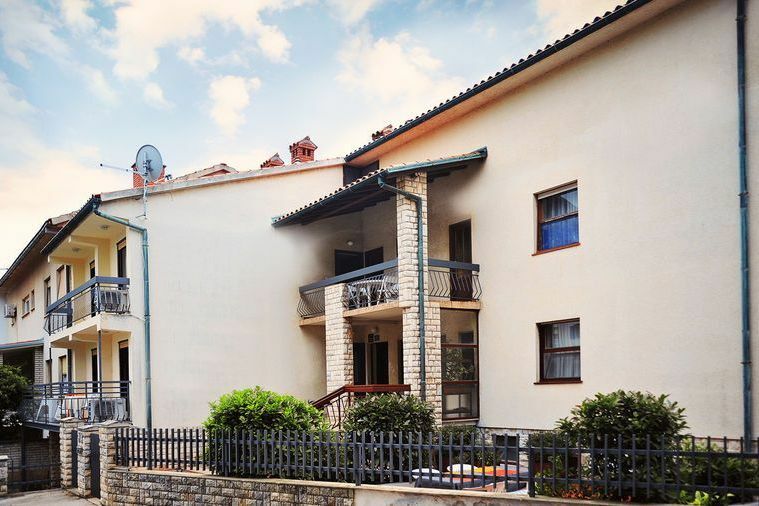 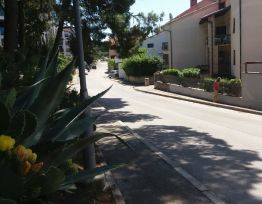 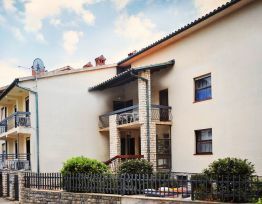 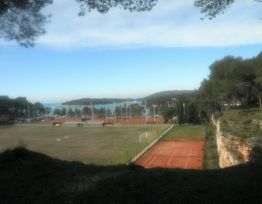 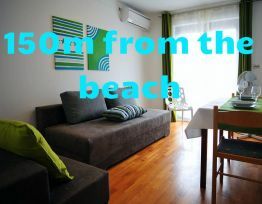 Apartments are situated IN ONE OF THE MOST DESIRABLE PLACES IN PULA, in private house. 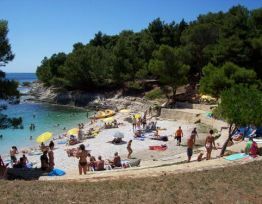 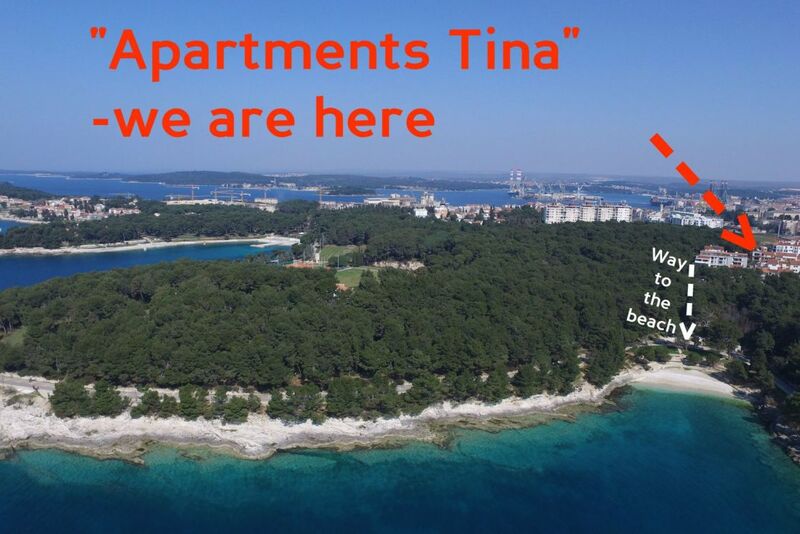 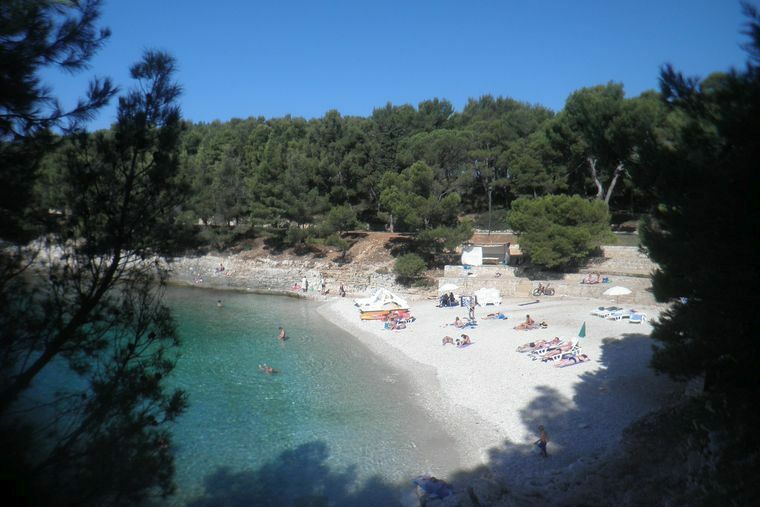 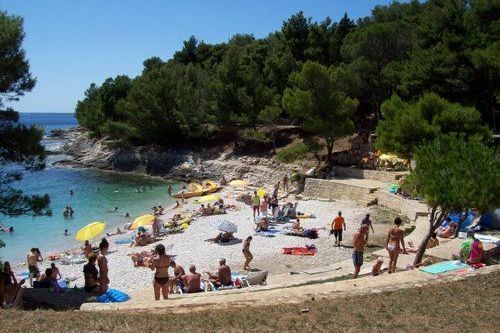 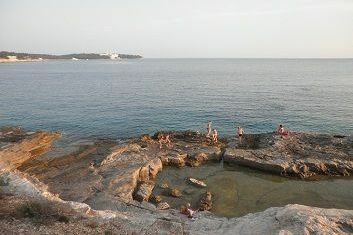 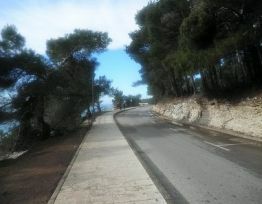 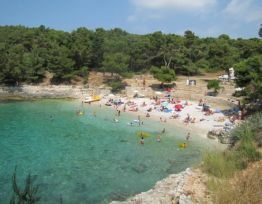 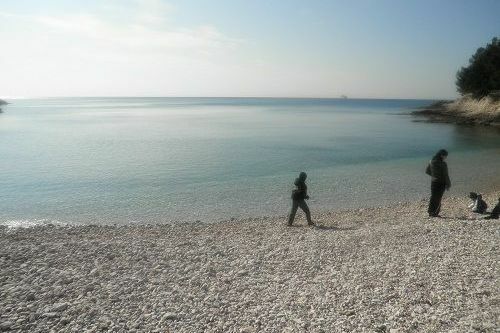 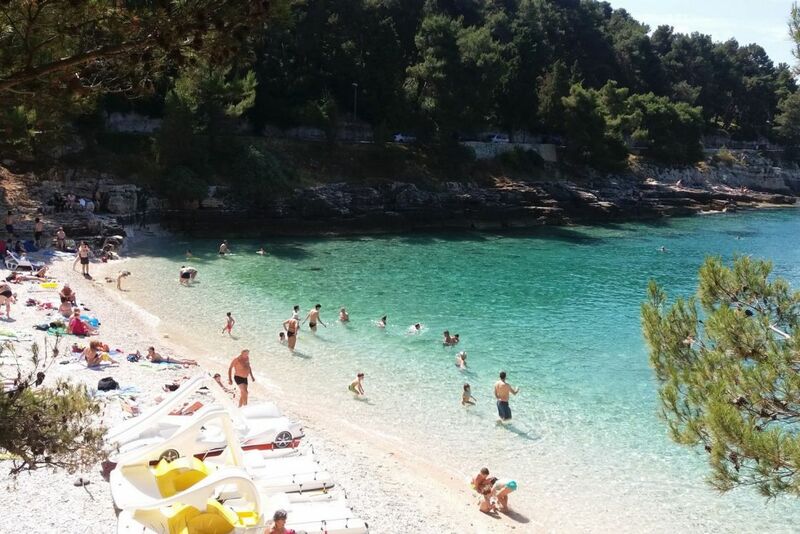 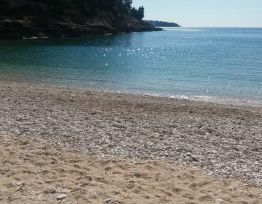 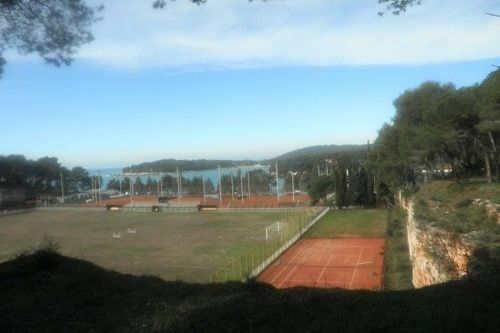 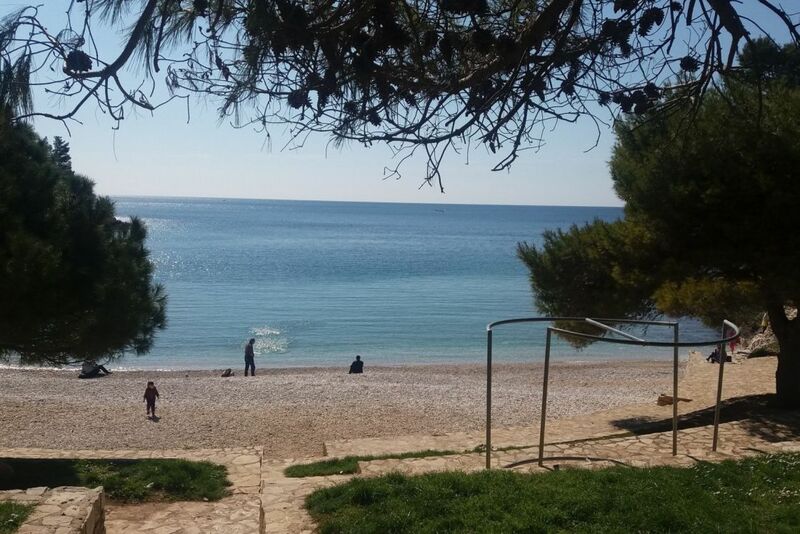 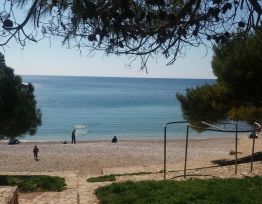 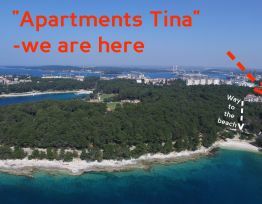 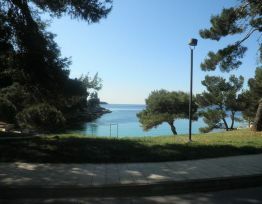 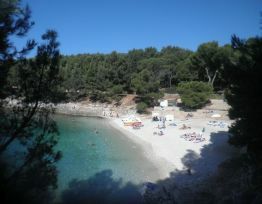 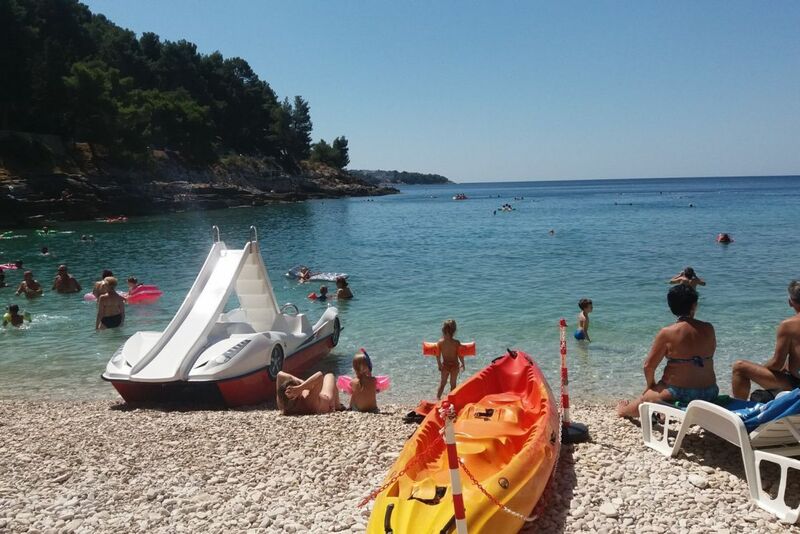 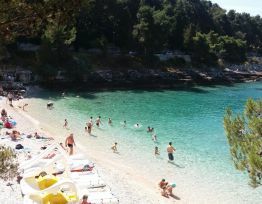 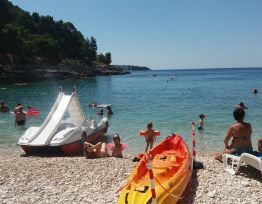 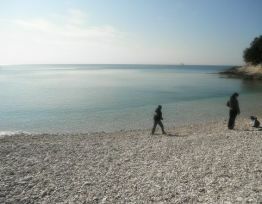 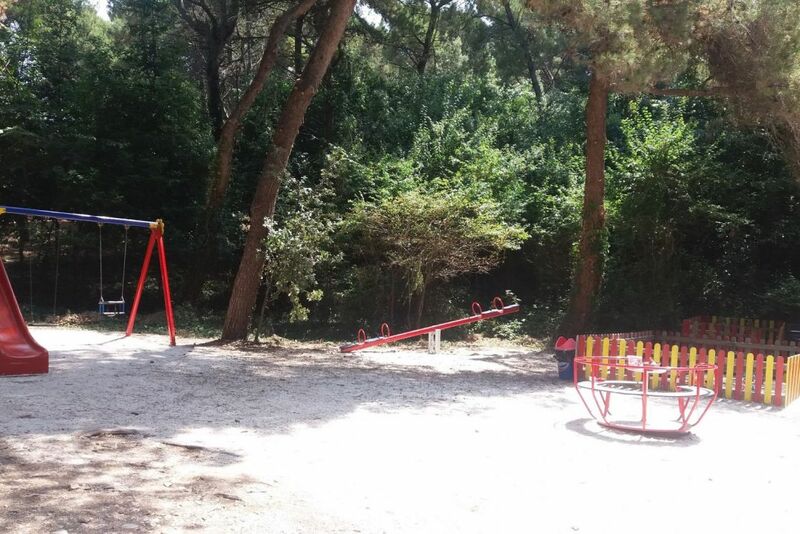 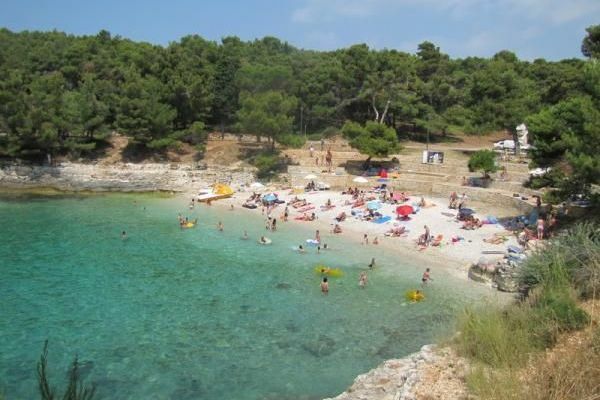 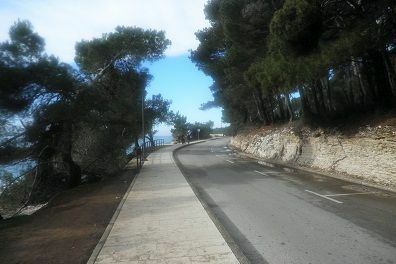 It is distant only 150m from ONE OF THE MOST BEAUTIFUL BEACHES IN PULA called Gortanova uvala (on the pictures). 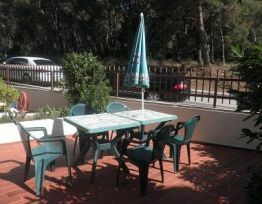 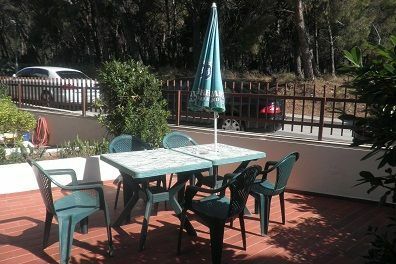 The house has big garden where you can sit, enjoy the smell of pine tree forest, use barbeque. 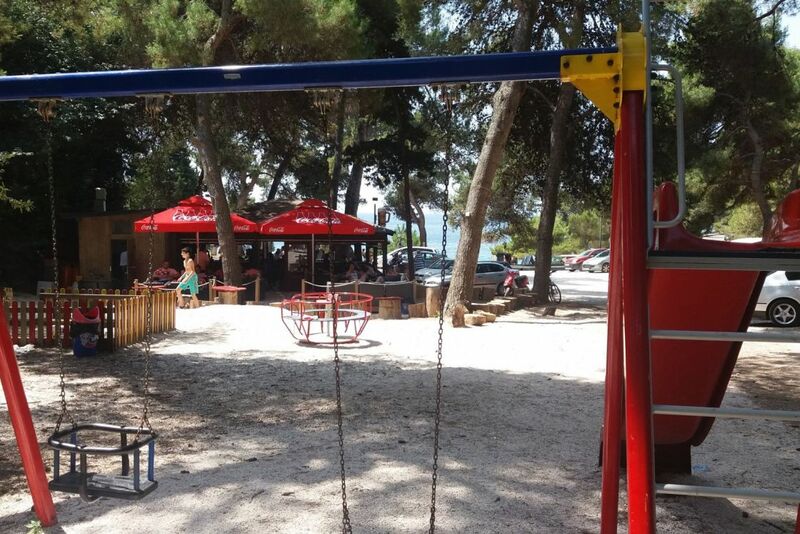 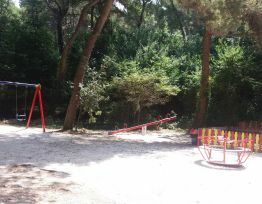 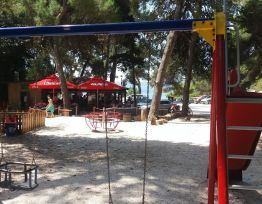 Next to the beach is big promenate, beach bar and park for children. 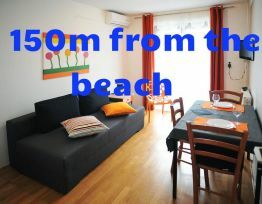 The nearest restaurant / pizzeria is on 50m, fish restaurant is 200m, supermarket 200m, butcher's shop 200m, wine bar 200m, pharmacy 300m, market square 400m, bus station 200m, tennis courts 300m, bank 400m, post office 500m, bike to rent 200m etc. 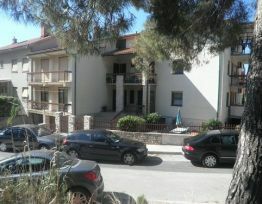 Free internet in the apartments. 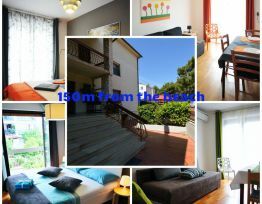 All nature, beach and wood on the photos are within 200m.